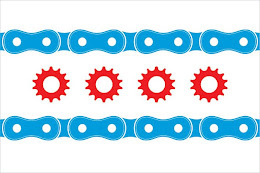 Good news for cyclists in the northern suburbs of Chicago as the Forest Preserve District of Cook County has announced an extension of the North Branch Trail; the trail runs from Devon and Caldwell northwards to the Botanic Gardens in Glencoe. The extension is going to be installed both north and south of the current trail boundaries. These extensions have great potential to not only increase the riding distances for existing cyclists but to also attract newcomers to take up cycling as an alternative to motor vehicular transportation. The Forest Preserve District is planning on installing 3 miles of trail south of the Devon and Caldwell boundary, allowing cyclists to connect to painted bike lanes on Chicago streets. They are also extending the trail northwards so that there is a direct connection to the Greenway Trail, providing accessibility to Metra and PACE lines. Work is scheduled to commence this summer with plans to finish the trail extensions by 2014. Already the longest linear trail in Cook County, the proposed extensions will solidify that distinction all while providing cyclists an opportunity to access areas previously left unexplored.